Admit it; you probably have loads of stuff that you hardly ever use. Some say that we use a mere 20% of what we own! The remaining 80? We keep them around the house for various reasons, sentimental or otherwise. In reality, clutter is all about indecisions. So, ask yourself, Am I going to use it? Why am I keeping it? Is it worth keeping? Basically, what we have at home goes the same with what businesses have in their offices. If clutter is a problem at home, it is doubly worse at the office. Industrial shelving is one type of archival storage that comes in a great array of sizes, shapes, and different installation processes. 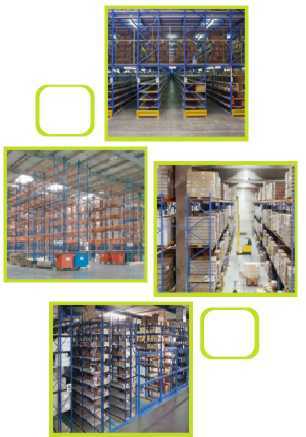 Industrial shelving provides the modern world a new way of organizing things especially for warehouses where limited space can become a problem. Unlike most storage spaces, industrial shelving comes in a build-it-yourself kit. This, in turn, provides flexibility on how you want to put up the industrial shelving and allows you to more easily place it inside tight spaces. In industrial shelving, the panels that are enclosed on each part of a bay are called uprights. These are equipped with a chain of pre-punched holes. The uprights are the ones responsible in providing flexibility to the user because it lets the user to opt for a different position of each shelf once they start building their industrial shelving. These are the basic units of industrial shelving. Other types of shelving also utilize them. Bays are comprised of a single back panel that is jointly linked together with two uprights on each side. It can either be double-sided or single-sided. When you use a double-sided bay in industrial shelving, you will get two single-sided bays that are attached together partaking a shared back panel. This, in turn, provides firmness in your industrial shelving. These are the most important parts of an industrial shelving. They are the different horizontal parts that are attached to uprights at either end. Here, you can put the records or different materials that you need to store. In most industrial shelving, shelves are fastened in place with four clips, one on each corner. These are the enclosing panel on the rear of a bay in an industrial shelving. Backs are the ones that provide the bays with the needed strength and stiffness. This is where the bays are located. It can either be double-sided or single-sided. The standard measurement of a row is five to six bays long. However, there are instances wherein you may find rows that are seven bays wide. In fact, there are rows that are even longer and wider. - Waterproof and easy to clean. - Can easily be removed for cleaning.